So I haven't seen much since I have moved to Germany, since everything is mostly put away for the winter, but today I saw this elderly wonder at work. 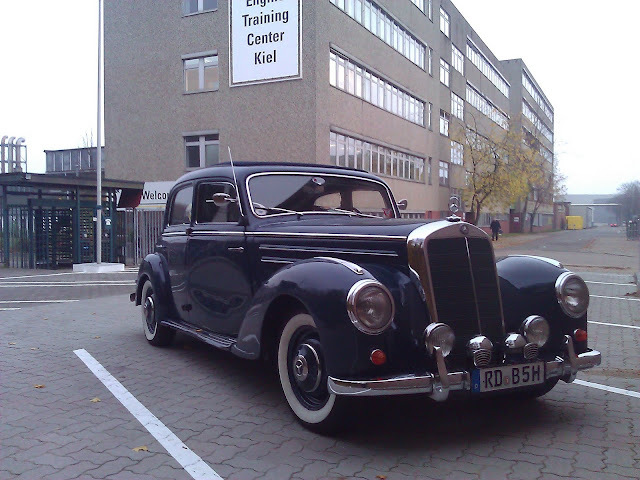 It's a 1953 Mercedes 170DS, in mighty fine shape, rocking its original 1.8L four cylinder diesel. This bad boy made 40hp and 74lb-ft. of torque, and would top out at about 65mph! Big numbers for an Autobahn stormer!